This guide will help you filter the choices to arrive at the table that’s right for your needs. The first thing to determine is the largest table you can comfortably fit in the space you’d like to place your dining table. This is to establish a set of “do-not-exceed” dimensions - anything smaller is never an issue. The best way to do this is to leave about 44 to 48 inches of space from the walls of your dining area, on all sides. This is required to allow people unhindered freedom of movement around the table. If there is other furniture or a door in the dining space, then this clearance should be maintained from the furniture or the open door. If you’re considering an extendable table like that of Odyssey by Calligaris or Tokyo by Tonin Casa, then you should ideally maintain the clearance from the fully extended configuration. For tables much smaller than the area of your dining space, you can use 36 inches as a minimum width - this typically allows enough room for place settings and food. Of course, as table length increases, so does width, proportionally. A good rule of thumb is that each person needs at least 2 feet of space to sit comfortably without bumping elbows. If you anticipate having to squeeze in an extra chair at the table fairly often, then consider a model with a pedestal base. These ensure that table legs don’t obstruct the chairs, but some base designs can restrict legroom, so it’s good to strike the right balance. Once you have a size in mind, the next most important factor to consider is shape. Generally, rectangular tables are most efficient at seating more people, while square and circular tables work best for more intimate settings. Also, consider the shape of your dining space: rectangular tables are the most practical for long, narrow rooms. Alf’s Garda and Tonin Casa’s Wave are ideal rectangular tables that accommodate more people. 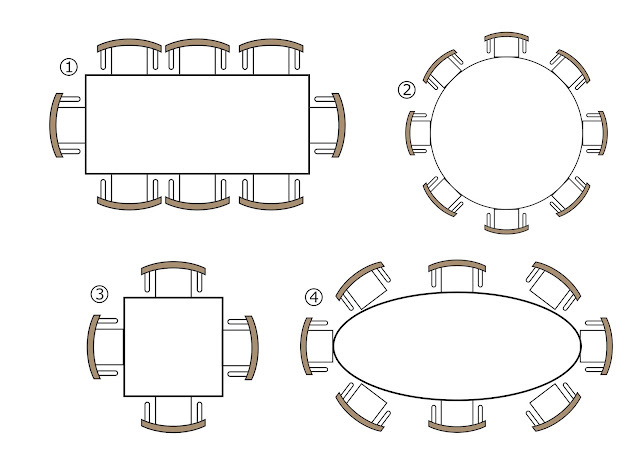 For round and square shapes, the wider the table, the harder it is to reach across the table or pass things around. On the plus side, round shapes do take up less space, and can also help visually in a space with straight lines and edges like that of Tondoby Koinor which is apt for such necessities. For circular tables wider than 5 feet in diameter, a lazy Susan feature can make it easier to keep things accessible to everyone. Clear on shape and size? The next thing to decide on is material and finish. Your choice of material impacts not just the aesthetics of your dining space, but also carries many implications for ease of use and practicality. Solid wood is of course, a timeless classic, and when crafted well, a solid wood table is exceptionally enduring. Prince by Calliagris is a rectangular table that can accommodate up to 8 people and is entirely made of wood. Materials such as metal and glass have a distinctly contemporary feel, while stone tables can vary widely in style depending on the finish. When choosing a type of finish, keep in mind your tolerance for wear. High-gloss sheens and dark surfaces are the most stylish, but tend to show scratches easier than, say, distressed finishes in light colours. Clear glass and chromed metal tend to show fingerprints, while frosted and brushed finishes hide them. The table below to compare characteristics across materials and finishes. Before you buy a dining table, it’s important that you actually try it out. Sit at the table, and check for comfort and stability. Make sure it’s the right height for you. 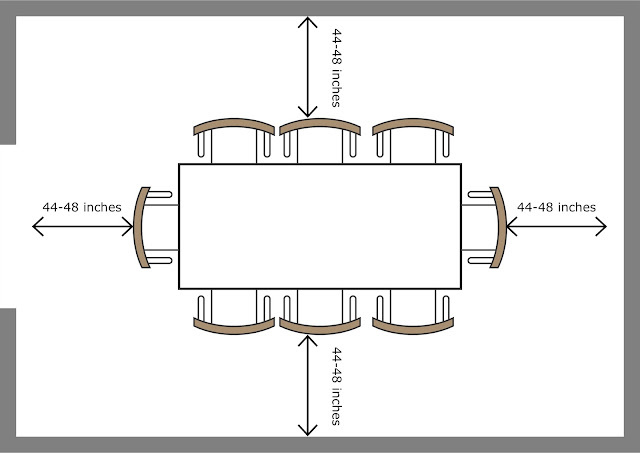 If you’re choosing chairs separately, table height is a factor to account for. (We’ll post another guide on chairs, soon!) but isn't too big for passing dishes comfortably. Leaning on the table at different spots - especially the corners and sides far from the center in rectangular tables - helps to check that it is stable. With those few tests done, you’re all set to acquire your stylish new dining table. If you have any other questions, do let us know, and we’ll be happy to help. Simply Sofas has a wide collection of fine European dining tables, check them out here. Also, here's a list of popular dining tables from our collection.